The 15-year MWW veteran is moving to Kind as SVP of communications as of next Monday. 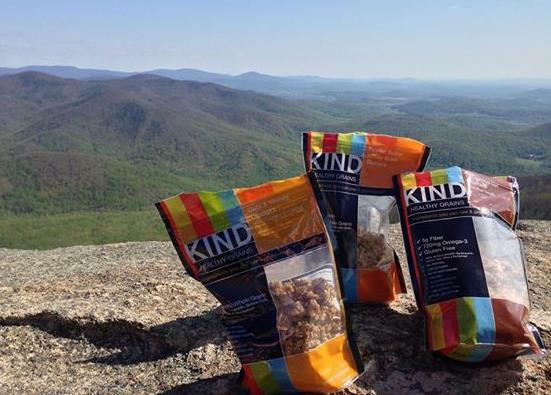 NEW YORK: Kind Healthy Snacks has hired 15-year MWW veteran Joe Cohen as SVP of communications, effective next Monday. Cohen will report to the head of marketing, who has not yet been named. He will work with Kind founder and CEO Daniel Lubetzky and president John Leahy. Cohen will lead the company’s communications strategy and in-house PR team, as well as support its marketing communications programs. He will also guide corporate and employee communications and integrated social mission efforts for Kind. Previously, senior director Elle Lanning oversaw communications. She recently took on the newly created role of VP of strategic development at the company. "[Cohen] is a very important addition to our leadership team," said Lubetzky, in a statement. "The Kind brand was built upon grassroots marketing, communications, and word-of-mouth buzz, and [Cohen] will play an integral role in helping us tell our story on a larger stage than ever before." Eight years after its 2004 launch, Kind had revenues of $120 million by 2012, according to Fast Company. Cohen called Kind an "incredibly innovative company that has pioneered a new category in the snack-foods space by pursuing a belief that snacks should both taste delicious and be healthy for you, and by refusing to make compromises." MWW president and CEO Michael Kempner cited Cohen’s role at the firm in a statement. "During his time at MWW, he has been a key contributor to our growth, a mentor to many of our team members, and a great friend," he said. "We wish him the absolute best as he pursues this exciting opportunity with Kind." MWW did not disclose who will replace Cohen on an interim or permanent basis. Cohen, the 2014 national chair of the Public Relations Society of America, has served as SVP at MWW since 2011. Two years earlier, he was promoted from VP to group VP of consumer lifestyle marketing. He was also listed on PRWeek’s 40 Under 40 list in 2013. This story was updated on September 23 to correct Cohen's most recent role at the PRSA. He is the 2014 chair of the PRSA, not the chair elect. It was also updated to correct the reporting structure at Kind.